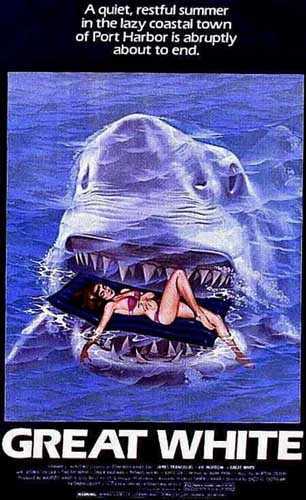 I know little about this movie, other than it was directed by Enzo G Castellari (who directed the mighty Bronx Warriors) and it stars Daniel Greene and looks like a brutal revenge movie. I will have to try and find this (anyone have any idea where I can find get it from???). All the recent Italian exploitation film trailers I have been putting up recently have been kind of leading up to this (though I intend to post some more of those beauties soon enough). 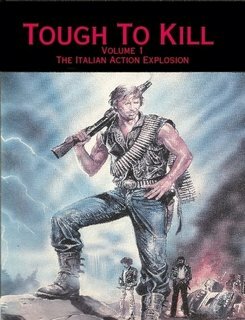 ‘Tough to Kill’ Volume 1 is a rip snorting adventure through all those Italian action film derivatives of Mad Max, Rambo, Conan etc that cluttered up the Video rental shops in the 1980s. Each film gets a review, and all the relevant information (Director, Actors etc), and are rated by ‘exploding huts’ up to a maximum of 5. Not many films reach that accolade, but the authors obviously have an affection for the films. That does not mean they are uncritical – when a bad film comes along, they do not hold back. The end of the book concerns itself with a few articles on and around the genre, and are also great reading. There are quite a few pictures, mainly video cover art, and although they are in black and white it does not detract much overall. The book is available in both PDF and printed format via lulu.com (see below for the link to the authors blog for more information). I got the PDF – it was a relatively easy transaction once lulu.com actually managed to link to my paypal account – and for the price, it is great value. A useful resource and great nostalgia value. 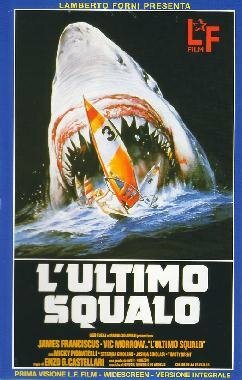 In an occasional series, TWLB presents trailers for Italian Exploitation Films that we had watched in the glory days of VHS and independent video rental shops. Clogged up as they were with all types of B-Movie madness, we could engorge ourselves on the likes of ‘The Deadly Spawn’, ‘Codename Widlgeese’, ‘Exterminators of the Year 3000’, and stuff with Mark Gregory in it. 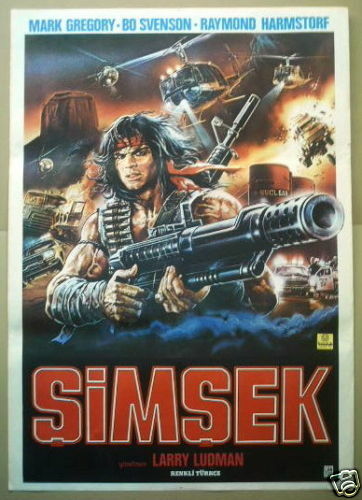 This is one of the latter, a film clearly inspired by ‘First Blood‘ – ‘Thunder‘ (aka ‘Thunder Warrior’). 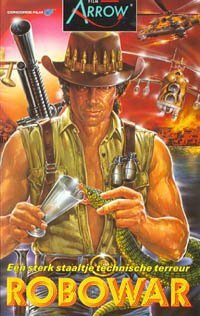 The tagline was “He’s on the warpath and he’s gonna blow your town apart!“. It follows the plot of ‘First Blood’ ‘fairly’ closely, in as much as this is a story about a man who returns home, only to be chased out of town, beaten and abused, with everyone seemingly against him, until he finally snaps and fights back against the injustice and his aggressors…..
Maybe the tagline should have read “He will blow his own town apart”, but that just sounds daft doesn’t it?